It’s that time of year again folks as we get ready for family gatherings, turkeys roasting in the oven, a time of peace and serenity……..and of course 3XWrestling’s “Holiday Havoc 2”! What better way to celebrate the holidays then with a full course meal of pro wrestling action? The 3XW Heavyweight title will be on the line as the current champ Rory Fox will take on the “Gentlemen’s Club” own Brian Ash. 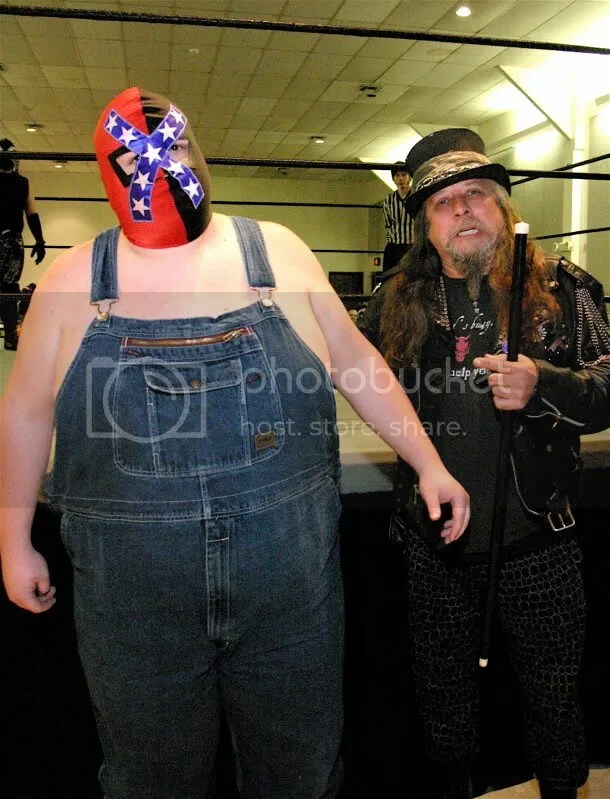 This feud has been going on for the past couple of months and with the “Club” and their manager, “Commissioner” Todd Countryman, always interfering in the matches Fox may have to devise a new strategy for dealing with the big man. 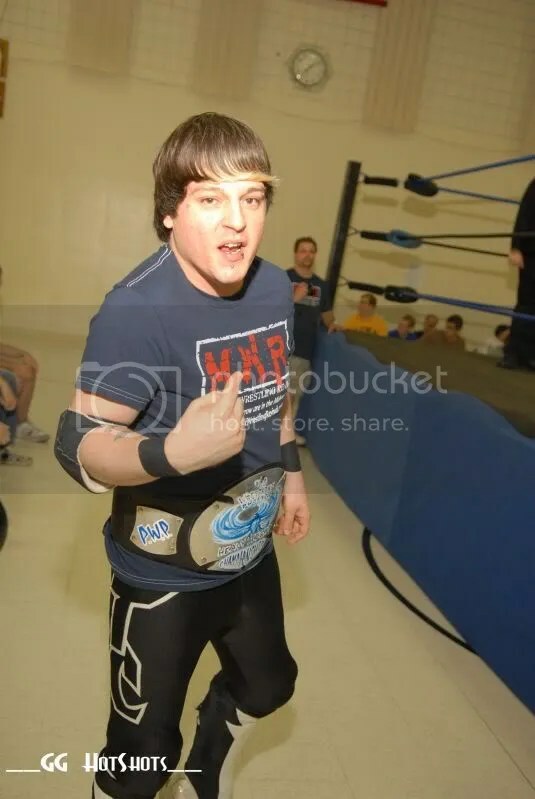 Rory Fox made an immediate impact the first moment he stepped into the 3XW ring and to no one’s surprise was the 2009 3XW Newcomer of the Year. 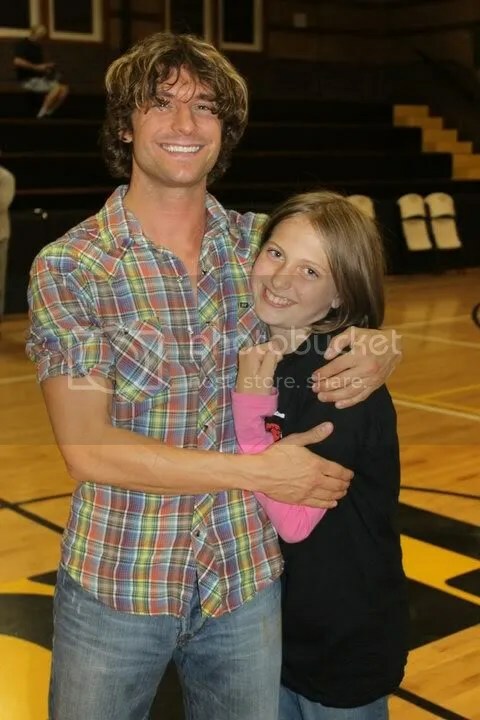 Many fans already knew Fox from the MTV reality show many moons ago called True Life: I Want to be a Professional Wrestler. The Iowa native has traveled the country mastering his craft for over ten years and is now setting his sights on Brian Ash and the “Gentlemen’s Club”. 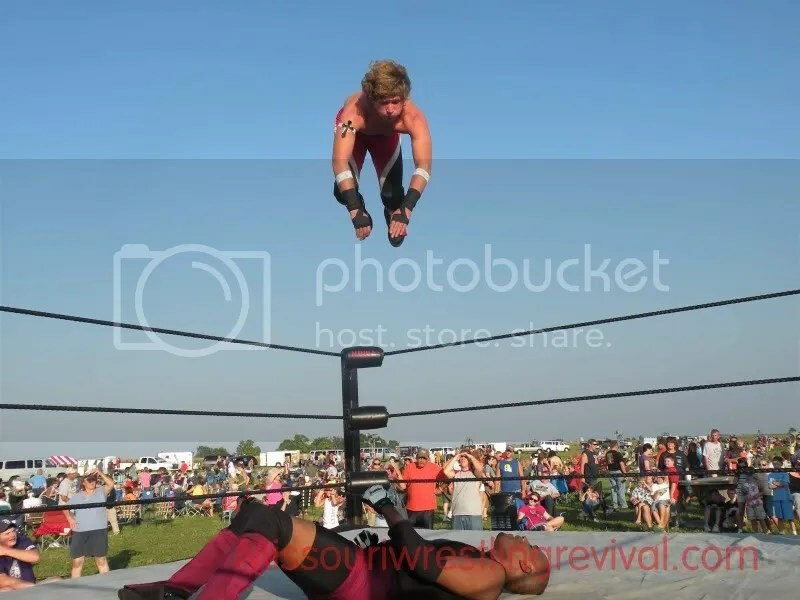 Fox won the 3XWrestling Heavyweight title in May at the “5 Year Anniversary” event from “The Rebel” Jeremy Wyatt in a sensational ladder match. 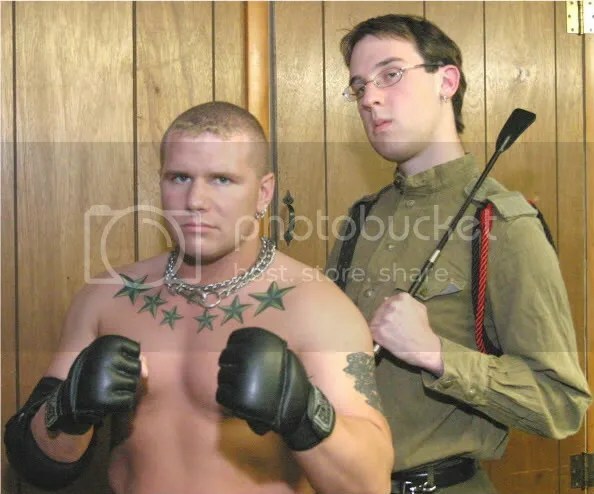 Since then he has had to fend of the likes of Ryan Slade, Gage Octane and the rest of the “Gentlemen’s Club”. After having Ash and his cohorts continuously attack him from behind Fox is ready to end this once and for all! 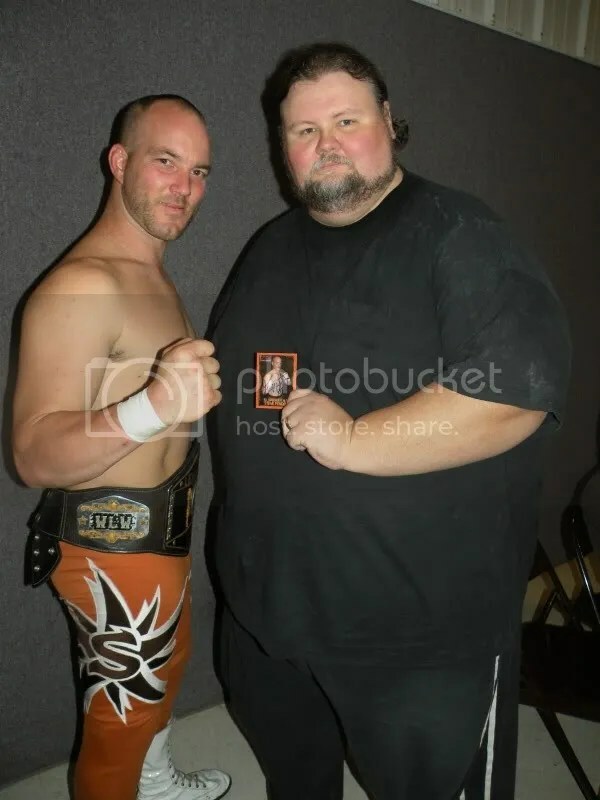 Brian Ash is the very first 3XW Heavyweight champion and he carried the title for some time as he has wreaked havoc all over the wrestling world. 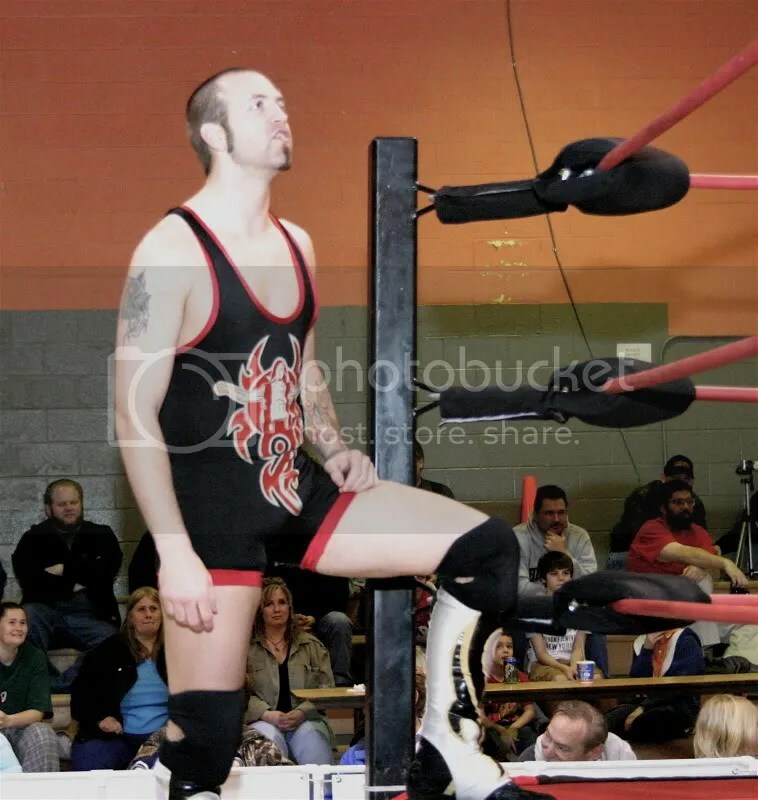 Trained by the legends Harley Race and Dory Funk Jr., Ash has the tools, size and experience to take the strap from Rory Fox. But even with his natural abilities Brian Ash has once again chosen to take the easy ride to the top. 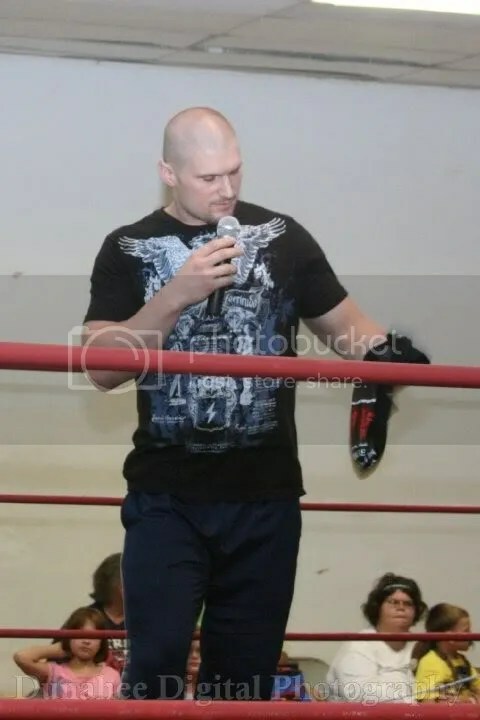 Ash returned to the ring in March of this year after retiring in a “Loser Leaves 3XW” match from 2007 and seemed to be making amends for his past behavior. 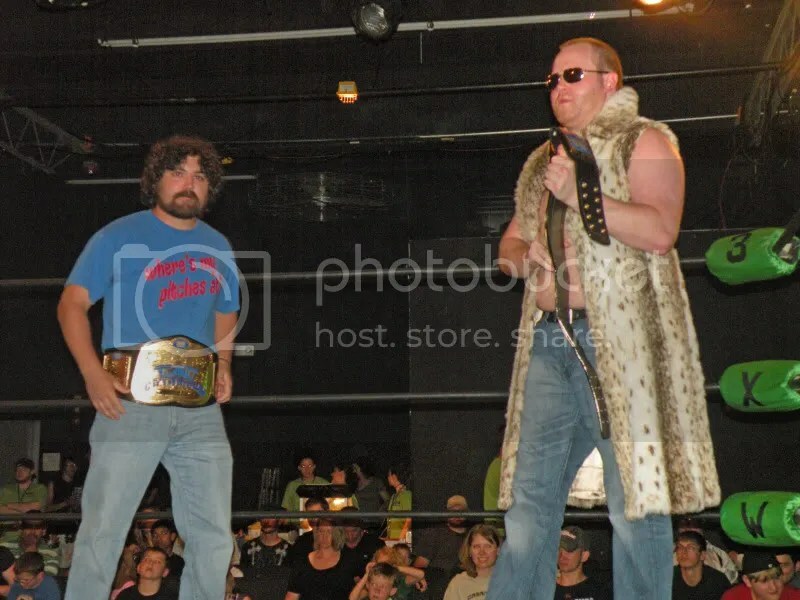 True colors were shown though as he returned to the ring and turned on his wrestling students Maddog McDowell and “The Unbreakable Zach Thompson. 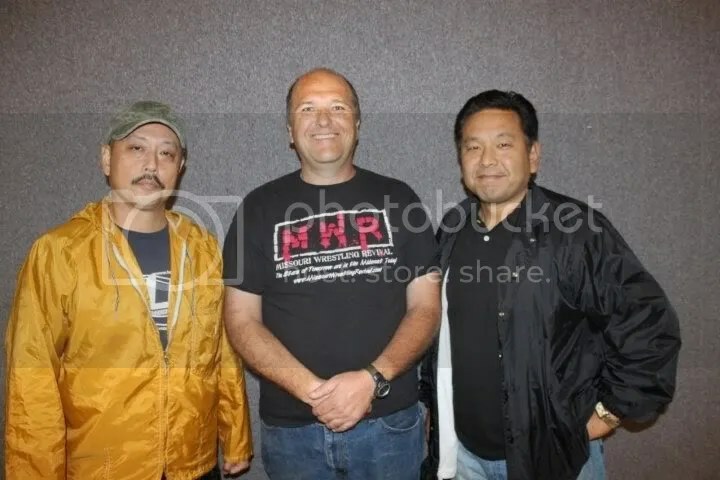 This is nothing new though as Ash along with Octane and Countryman were once known as the “Blue Chippers” before the creation of the dastardly “Gentlemen’s Club” and much like today cheated to win at all costs. Brian Ash wants his title back and Rory Fox will have to depend on speed, agility and maybe some outside interference to keep the big man down to retain his belt. Other matches have been announced for “Holiday Havoc 2” including a rematch from last months show with the 3XW Pure Wrestling champion “The Laotian Sensation” Ricky Kwong taking on “The Rockstar” Jimmy Rockwell. Last months match was incredible as these former tag team partners gave probably the best match so far in their 3XW careers. 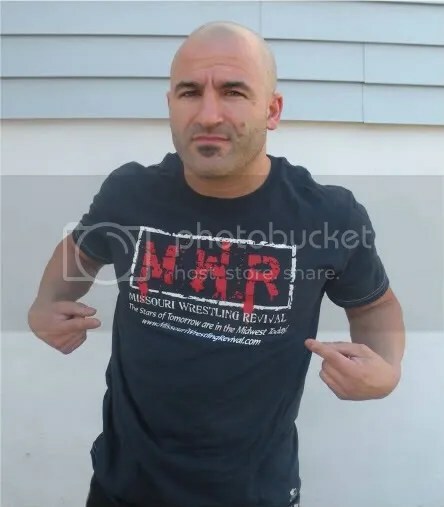 A stipulation has been put in place by the 3XW Board of Director as Kwong’s sneaky manager Chad Mylan will be handcuffed to Skylar Pierce during the match! Also a six man tag team match is in place as The Horndogs and Zach Thompson take on American Ground and Air with Ryan Slade. More matches will be announced soon! In addition to all this pro wrestling excitement 3XW is putting on a “Holiday Havoc 2” preparty on December 1st at Cup O’Kryptonite, located at 4521 Fleur Drive, from 6:00 to 8:00 p.m. There will be free beer, door prizes, pro wrestlers, comics and did I mention free beer! Also don’t forget to bring toys down to the show as 3XW is collecting for Toys for Tots! “Holiday Havoc 2” will be held at the Des Moines Social Club on Friday, December 3rd located at 1408 Locust Street in Des Moines, IA. Tickets can be purchased online at 3XWrestling.com or at Cup O’Kryptonite and both Jay’s CD and Hobby locations. Advance presale tickets cost $12 for adults and $6 for kids 10 and under. Ticket will also be sold the night of the show at $15 for adults, $6 for kids 10 and under and kids 3 and under are free. Doors open at 7:00 p.m. with the bell time being 7:30 p.m. Don’t be a turkey bring a toy for a child in need! 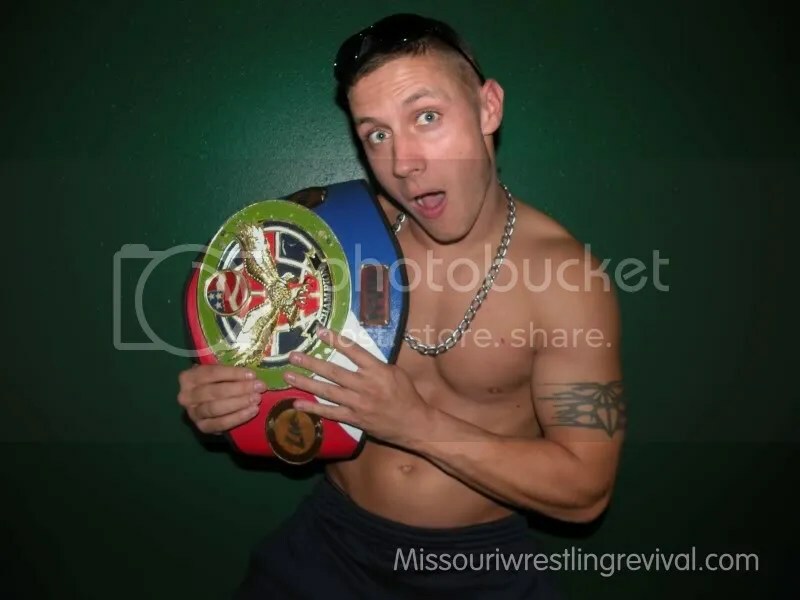 You have seen him thrill fans on MTV’S reality TV show Road Rules, this past Saturday Dan Walsh won the coveted High Voltage Wrestling Livewire Championship in a 4 man scramble match. 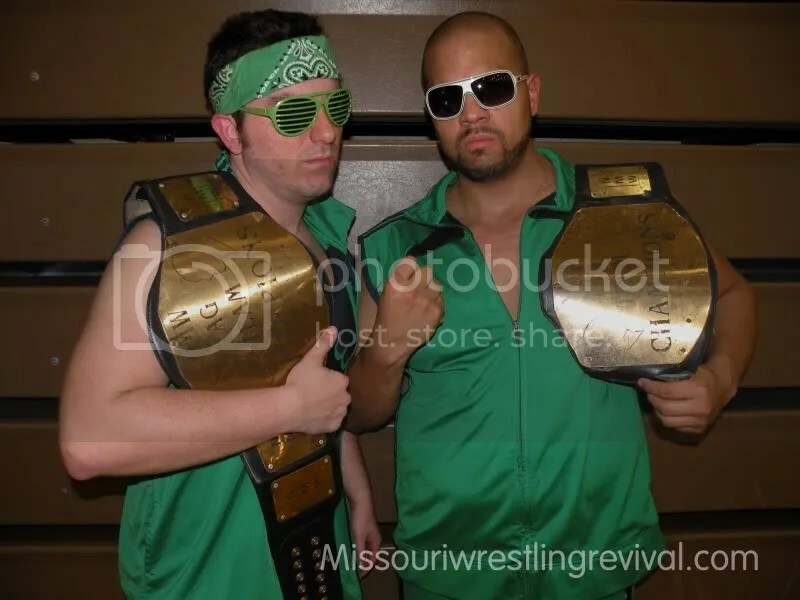 The match featured three of the most talented superstars in St Louis today when the POWERFUL Trent Stone, the FEARLESS OuTKaSt and the BREATHTAKING Billy McNeil gave an exciting match to get their hands on the title. In a bit of an upset it was Dan Walsh who would have his hand raised at the end of the night but it would not be without controversy as Walsh had a handful of Stone’s tights to get the Victory. Dan Walsh will have his hands full to hold onto the title, as the HVW Livewire curse or blessing to some have struck many. 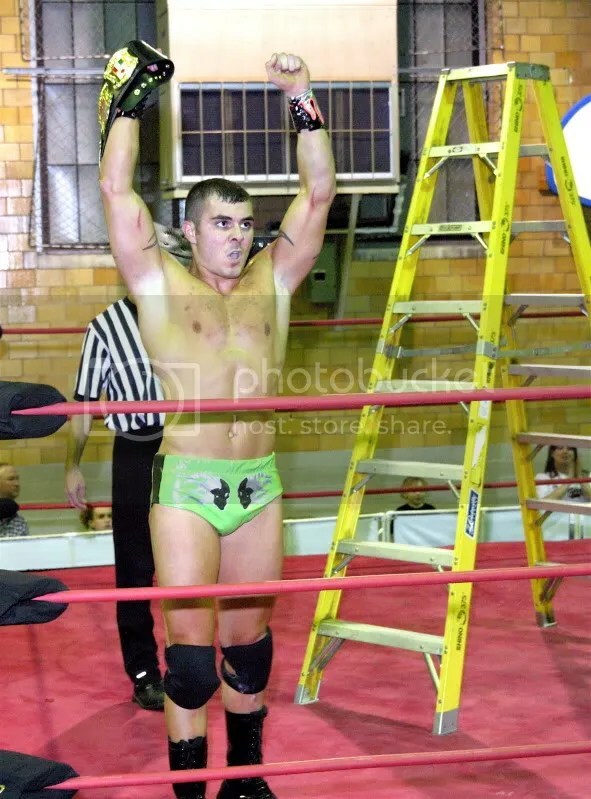 The first HVW Livewire champion Brandon Espinosa held onto the title for just under and hour till the “Tokyo Monster’ Kahagas won the title later that night. 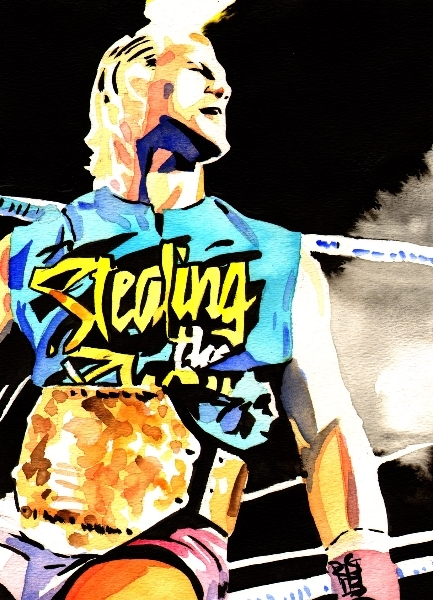 Kahagas would use the belt as a stepping stone to rocket to the top of the chain by winning the HVW Heavyweight Championship. 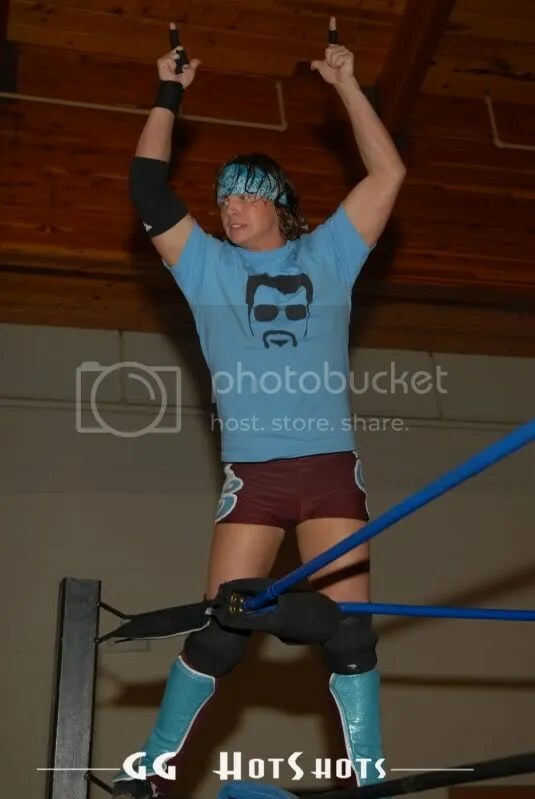 Mike Sydal would win his first ever singles championship when he became the HVW Livewire Champion on the way to becoming the 2009 Pro Wrestling Illiustrated Rookie of the Year. 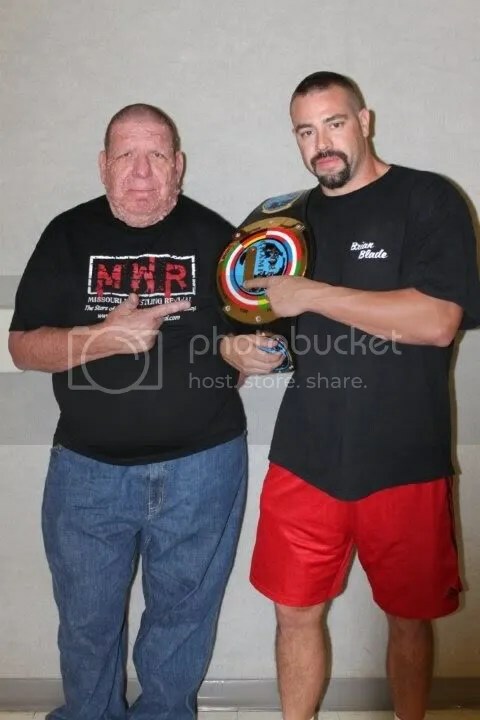 Shortly after Mike was being courted by Ring Of Honor when the exciting young Brandon Aarons defeated him in the spring earlier this year. 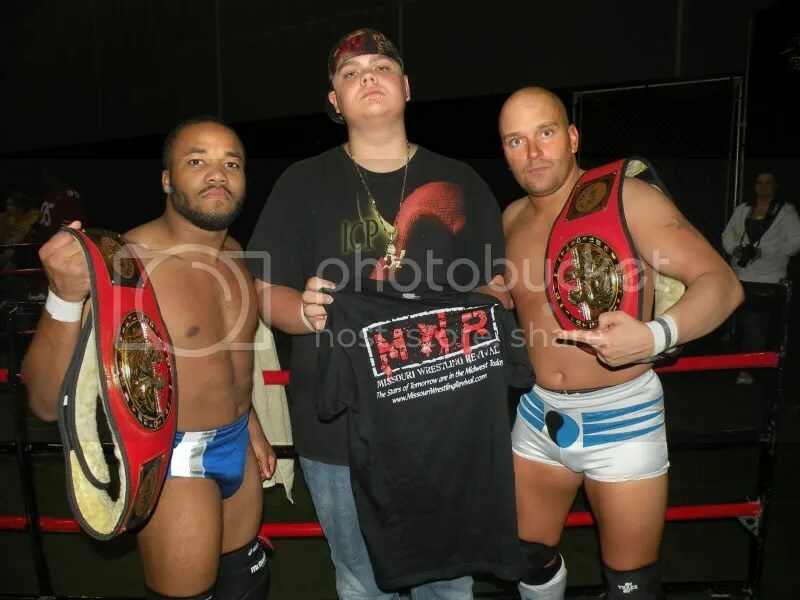 Aarons due to personal reason was unable to defend the belt in August and this show so the curse that struck Aarron’s former tag team partner Espinosa bite him. 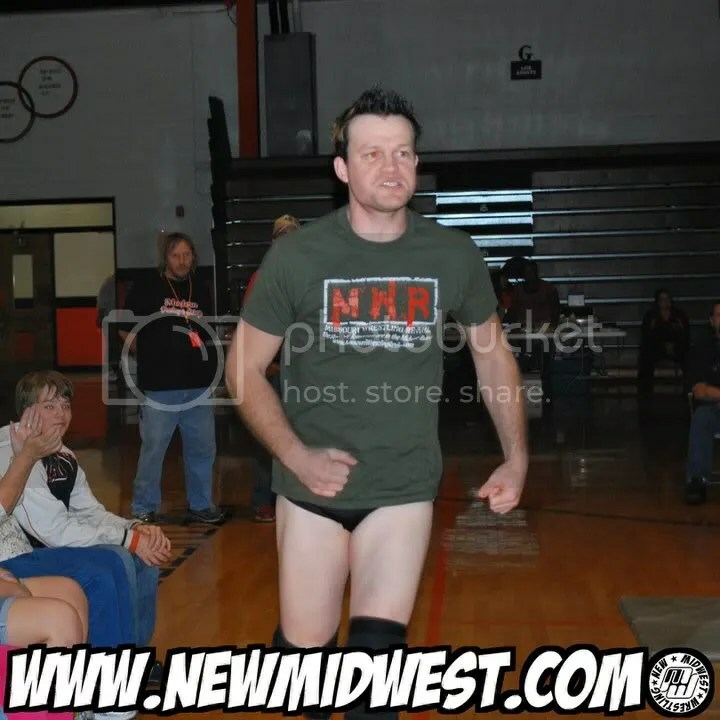 Now we have the “Dananimal” Dan Walsh as the HVW Livewire Champion. How long will he last is anyone’s guess. Till then lets hear from the new Champ Dan Walsh. 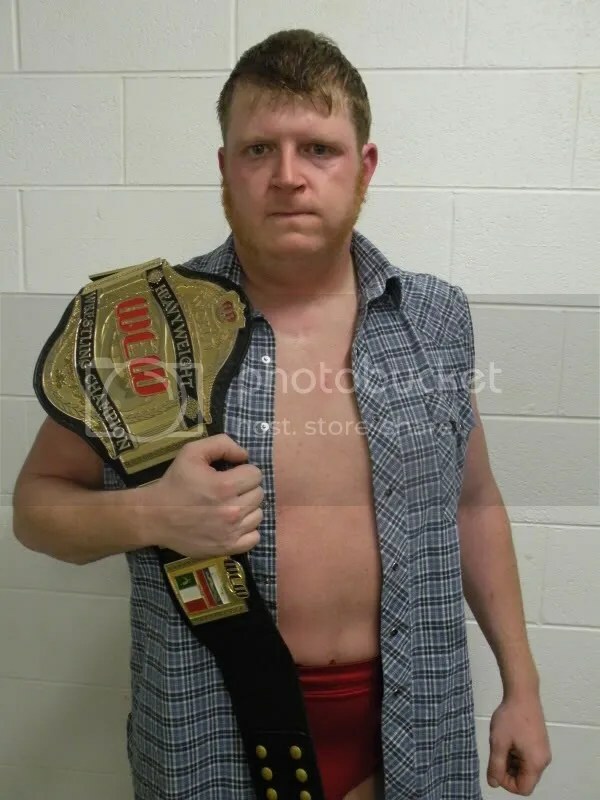 • New HVW Champion Jeremy Wyatt. 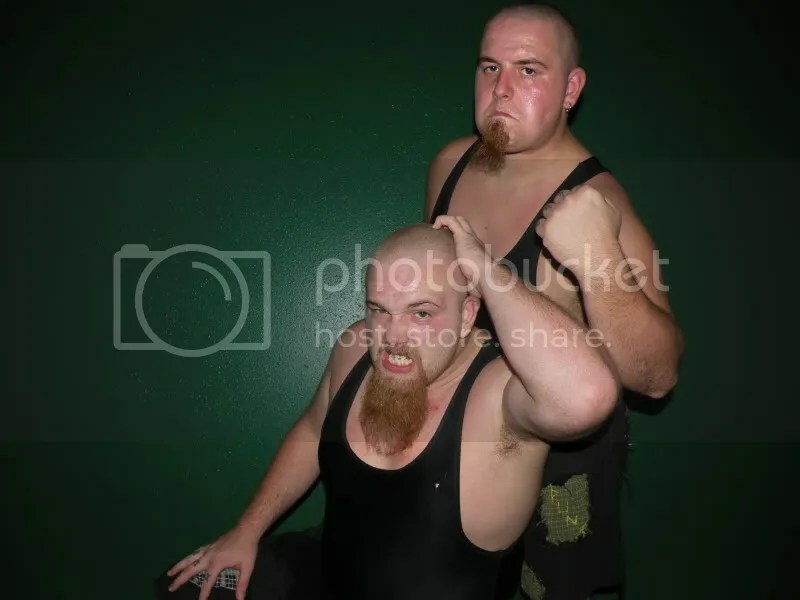 • Former HVW Tag Team Champs and 2009 MWR Tag Team of the Year the Hooligans (Devin and Mason Cutter. • Dubray Tallman catches up with the Magic Man.